← One game at a time: The Top of the D meets Jen Wilson. 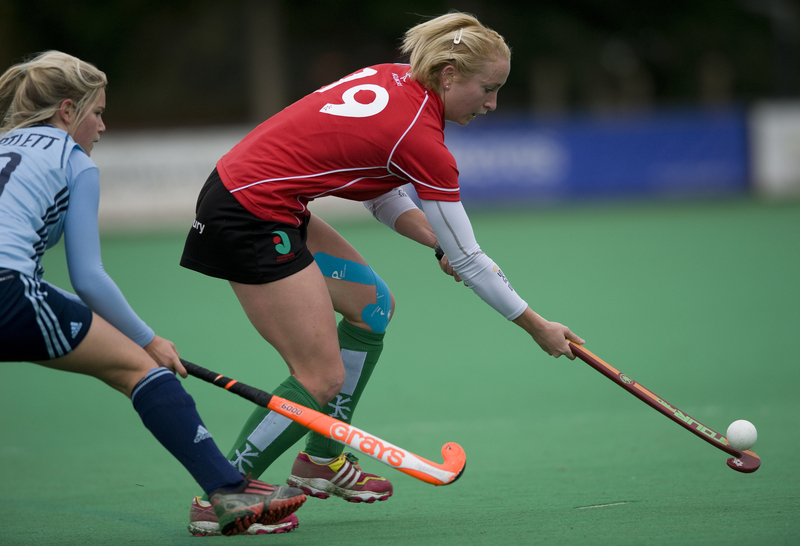 Investec Women’s Premier League Championship Playoffs: Preview. And then there were four. 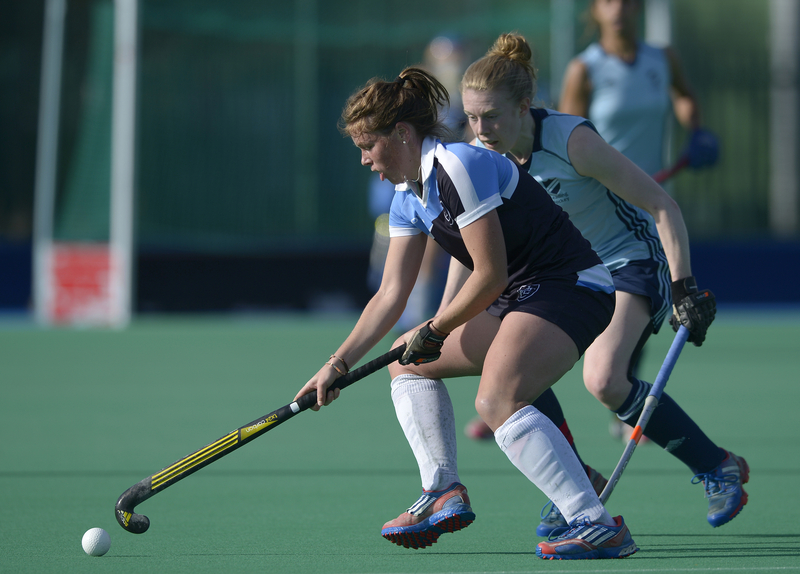 The teams who have proved themselves to be the finest in the land will come together at Reading Hockey Club this weekend to do battle to determine who will be crowned champions and also grab that all-important place in Europe for next season. Having finished top of the league, Canterbury already have a European place sewn up and will face Clifton, who finished fourth, in their semi final. The other semi-final pits defending champions Reading against Surbiton. The Top of the D gives you the low-down on the teams. Last year: 3rd place in playoffs. “We knew the league was our best chance of Europe so having secured that we feel like it’s taken some of the pressure off us. We might not be at our strongest but the players we’ve had in the squad have done brilliantly when they’ve come in so we’re seeing it as another chance for them to impress, rather than viewing it negatively. I know the girls will cope well with the pressure of playoffs. The players have shown great maturity and flexibility and dealt with everything that’s been thrown at them so I don’t doubt they’ll step up at playoffs, too. Having made up for their last day disappointment last season by finishing the job off and getting into Europe, Canterbury should go into their semi final with Clifton with nothing to fear. They beat their opponents 2-0 on the last day of the season to ensure they finished top of the league and their record against their playoff rivals stands up to scrutiny with five wins and one loss from their six clashes with the top sides. Canterbury have built their season a resolute defence, keeping ten clean sheets and conceding just 14 goals in the league. An outstanding debut season in the top flight from goalkeeper Helen Fagg and some fine work from Grace Balsdon and Mel Clewlow have been the foundations for the meanest defence in the league. The big negative for the Kent side is the absence of top scorer Nikki Kidd and her partner in crime Nikki Lloyd. Both will be a big miss for Jen Wilson’s team but they will still be a tough nut to crack. “We’re all focused on the present. The past is the past and just because you won a trophy before it doesn’t mean anything this time around. We need to prove ourselves all over again this year. We want to make sure we do well not just for the trophy but because we have a lot of ambitions for the bigger picture. Many people’s favourites to retain their crown, Reading have a star-studded lineup that includes the most potent striker in the league, Alex Danson. Danson has enjoyed yet another fantastic season, netting 15 goals to finish top scorer and also picking up the Players’ Player of the Year award. Reading were the division’s top scorers with 58 goals, including contributions from a number of players throughout the team. Susie Gilbert, Becky Halle, Leah Wilkinson, Jess Brooker and captain Thomas have come up with 28 goals between them, showing Reading have threats all over the pitch. At the other end, too they have been impressive. Wilkinson and Emily Maguire have been rock solid defensively although Maguire will be with the Scotland squad this weekend. They have a win and a loss against Surbiton, their semi-final opponents this season but have been defeated twice by Canterbury and have a win and a draw against Clifton, however as Thomas says above, the past is the past. You would fully expect Reading to bring their best this weekend and be there or thereabouts come Sunday’s final. Last year: 4th place in playoffs. “We’re peaking at the right time of the season; it’s looking quite good ahead of playoffs. Last year stands us in good stead. The girls have another year’s experience under their belts and that’s what we needed. Getting to the playoffs was our aim and now we want to take that on a stage and get into Europe. We’ll certainly give it our all. The Sugden Road outfit are a dangerous proposition coming into the playoffs. As both Brett Garrard and captain Chloe Strong mention above, the experience they gained last year and the balance and quality they now have in their squad makes them a formidable opponent for each of the other three teams they are battling with. Surbiton have defeated all of their playoff rivals during the regular season, but have also been defeated by both Reading and Canterbury, proving there is little to choose between the teams. In Abi Walker they have a top class goalkeeper who operates behind a pretty decent defence, that has been breached just 17 times this season. Going forwards, too they have been in fine form with Sarah Page drawing plenty of praise for her attacking efforts from midfield whilst Sandra Frankland, Jenna Woolven and Abi Robinson have given opposition defences plenty to think about. With every passing year they are proving they deserve to be at the top table of women’s hockey in this country. Record: P: 18 W: 9 D: 5 L: 4 F: 38 A: 25 Pts: 31. Canterbury are a massive challenge. It’s a big stage and they’re a terrific side. You don’t win the league by accident. We’ve not taken points off them in the league but they’ve been close games. If we can take our chances on the day then who knows what could happen? Semi finals and finals can be funny, sometimes there are upsets so we hope we can produce another one. Canterbury are well organised and strong throughout but we’re still fairly confident. Our team has been improving every week and developing a better understanding with each other. We showed what we can do recently against Bowdon and Sutton but perhaps didn’t play at our best against Canterbury. We feel we deserved to finish fourth, we worked hard to get there but we need to go out and play well and show people why we qualified for the playoffs. As they rightly state above, Clifton go into the weekend with nothing to lose. The side who claimed the last playoff place by coming fourth go in as underdogs, especially against Canterbury who finished top, but that is how Steve Rixon’s side like it. Dubbed the “Silent Assassins” by this very site, they have long been going about their business quietly and effectively, a very tough side to beat who can turn it on when it matters. They defeated Leicester and Bowdon Hightown in consecutive weeks to hold off the challenge for their place at this weekend’s finals and have also taken points from both Surbiton and Reading this season. Clifton are a fine team unit, defending from the front, making them hard to break down, whilst also showing they are not afraid to attack teams. With striker Els Mansell in fantastic form ably supported by the midfield brilliance of Joe Leigh, Clifton are to be underestimated at your peril. Who do you think will win the playoffs? Why not leave a comment below or tweet me @TheTopoftheD and tell me your thoughts? You can still buy tickets to see the games live. Visit the England Hockey website for all the information. This entry was posted in Features, Investec Women's League. Bookmark the permalink.